Jay Bruce is finally here. Check this out, its my other blog, on the Cincinnati Enquirer site. Also, WLW dropped Paul Harvey according to this. 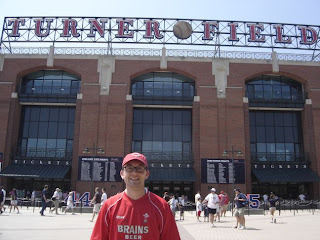 Oh and the trip to Georgia was great, above is a picture of me at Turner Field. Fun Fun.